We celebrate World Toilet Day on the 19th November, declared by United Nations with the aim of raising public awareness of this issue. “When nature calls” is the theme chosen by United Nations this year. The idea of waste is not present in nature: once the life cycle of resources is over, they are naturally recycled to keep the balance. Sometimes, it is enough to replicate these natural cycles to provide a solution to some of the most important sanitation problems around the world. Sanitation solutions based on nature itself make the most of ecosystems by treating human waste before returning it to the environment. Most of these solutions are based on the protection and management of vegetation, soils and wetlands, including rivers and lakes. Latrines with a dunghill that collects and treats human waste inside the toilet, thus producing a free supply of fertilizers that can be used afterwards for farming. Sanitary systems that work in harmony with the environment need to be developed. When nature calls, we need to listen to it and act. By means of a 3-phase-system it is possible to reduce the negative impact of feces on people and on the environment and to safely reuse them. 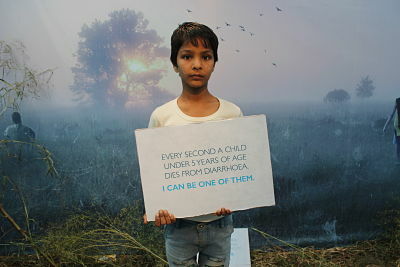 For this reason, it is essential to build toilets and sanitation systems that work in harmony with natural ecosystems. Entrance: free with prior registration on this link. Renowned experts will discuss the present and the future of the water situation in Spain and the effects of climate change in the next few years, providing possible solutions to plan and counter the lack of water. 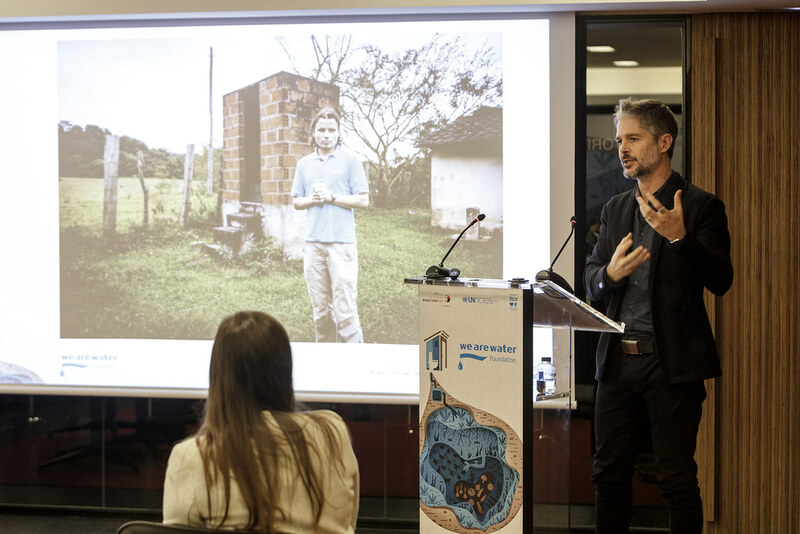 Linked to the United Nations theme, the We Are Water Foundation organized the round table “When Nature Calls” where experts discussed and presented solutions based on nature to solve the water and sanitation situation. We were able to learn more about systems that allow communities to manage their waste with the available resources, producing a free supply of fertilizers to help farming, as well as options for filtering waste water before returning it to the water streams. In addition, together with Save the Children, Mujeres por África and the WAW Foundation itself, different case studies of projects implemented on site were presented, along with the processes followed to achieve them. Analysis of the water situation in the different continents of the world. Provision of global data and goals to be met. Situation of large cities around the globe (choose a few and provide data). Situation of water in “Spain”. How will climate change affect us in the next few years? Reduction of consumption and reuse of water. Tomàs Molina, physicist and head of meteorology at Televisió de Catalunya. Xavier Torras, director of the We Are Water Foundation. Rafael Mantecón, chemical engineer expert in wastewater treatment and purification. Manuel Suárez, president of ADECAGUA; and David Escobar, moderator of the event and partner in iAgua. We Are Water Foundation India, handed over 200 household toilets to the families in the rural area of Bhiwadi, Rajasthan on the occasion of World Toilet Day. 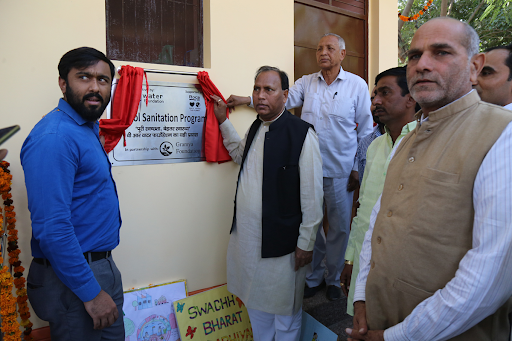 As a part of this initiative, the foundation has given out a total of 660 household toilets to families in villages of Bhiwadi, Alwar with a focused approach of providing better sanitation facilities benefiting 5000+individuals in remotest of areas. Given the current scenario, there is only 10 – 20% of sanitation access in rural households. With involvement of local governance bodies and district administration, the foundation has built community toilets within village. Thereby, creating an environment of cleanliness and open defecation free villages. Furthermore, the company will closely be working with local Government for the sustain approach with Water committee at village level for villages. Objective:To sensitize urban communities by spurring the bitter truth about the 250 million lives who still practice open defecation in rural India. 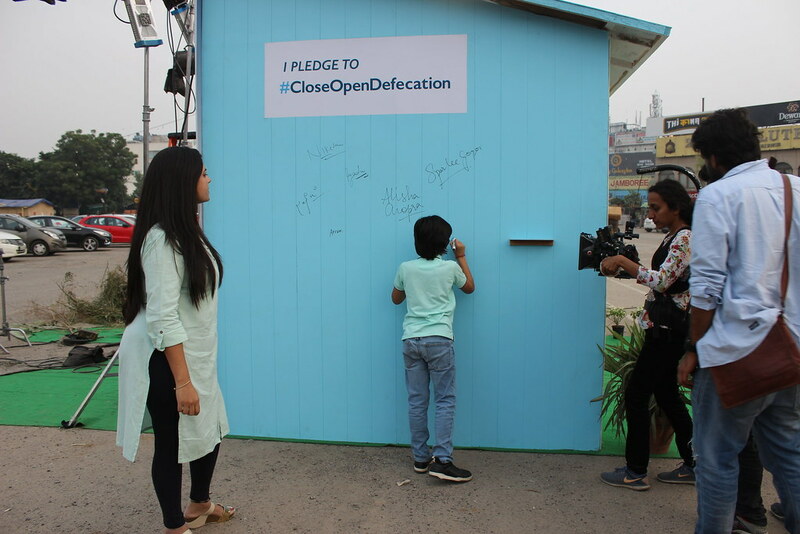 And, at the same time mobilize urban folks to commit to #CloseOpenDefecation and rescue women and children from their plight. Reached out to: Over 100 Beneficiaries . We Are Water Foundation conducted a social experiment on this World Toilet Day at one of the most prominent locations in Gurugram, Haryana. A false toilet was constructed for both men and women and opened into a railway track instead of a water closet to perform ablution. The interiors of the false toilets showcased the jarring reality of 250 million people who choose railway tracks, open fields as a defecation site every day, unaware about its consequences. Through this initiative, participants were also made aware about the problems that occur due to open defecation. People were moved by what they saw and voiced their opinions about what they had just witnessed. They enthusiastically shared messages on the petition wall and over 100 sign up registration we received from the activity. Twitter: Trended at #1, Over 107MN impressions, Over 18MN campaign reached. 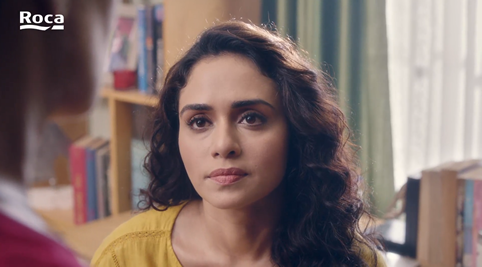 On World Toilet Day, Roca and We Are Water Foundation released a powerful film #CleanYourHeart, bringing one of the most prominent issue faced by millions of domestic helps every day, i.e. ‘Access to Toilet’. It was a high visibility campaign that spread awareness about stopping discrimination against domestic helps and providing washroom access to them. The campaign is part of the foundation’s larger effort to provide access to clean water and sanitation facilities in India. The foundation aims to drive the behavioral shift to end discrimination and change mentality towards domestic helps’ right to hygienic toilets. In Partnership with Gramya Foundation. On November 26, 2018 We Are Water Foundation, has recently constructed toilets in 2 government schools, (Gandhi Bolni), of Rewari, Haryana and renovate 3 more in Alwar, Rajasthan under their ‘School Sanitation Project’. The initiative aims at sensitizing students and teachers on the need for better hygiene and sanitation facilities to all sections of the society across the country. Through this initiative we are reaching out to 1500 government school children. This special occasion was graced by the presence of chief guest, Dr Banwari Lal, Minister of State For Public Health Engineering, along with village sarpanch, MLC- Rewari, NGO partners, members from We Are Water Foundation and Roca team.As part of the project, we aim to conducted workshops to educate children on the importance of hygiene and proper sanitation practices. Through this initiative, the schools will have access to improved water supply and improved capacity of menstrual hygiene among girls. 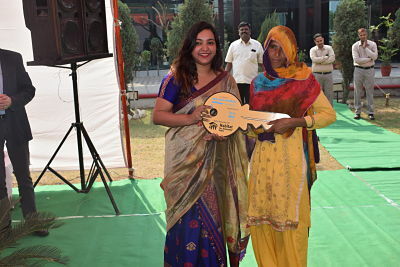 Commenting on the initiative, Mr KE Ranganathan, Managing Director, Roca Bathroom Products Pvt Ltd said,“As a leader in the bathroom space and a socially responsible corporate, we take the pride to provide improved sanitation facilities with the construction of toilets in the schools of Rewari, Haryana. Combining best of our business expertise and passion to make India open defecation free, we hope our endeavour will influence a behavioural change in the upcoming generation and future of the country, which not only contributes to creating decent sanitary spaces but also preserves the privacy of people. We are also running awareness programs to educate families on the usage of toilets and benefits of safe and hygienic sanitation practices”. We Are Water Foundation India, CSR wing of Roca has been instrumental in promoting healthy living, better hygiene and improved sanitation in the country. Under the project, the brand has recently donated toilets in the schools of Alwar, Rajasthan and earlier in Mumbai and Kolkata. Furthermore, the company is closely working with local Governments for the sustained approach and healthier sanitation.